The brand new Ford Mondeo is not only a spacious, stylish car but also one that is full to the brim with the latest technology. It’s easy to see why the car has been a favourite with so many year after year and 2017 is no different. Our range of cheap Ford Mondeos offers a variety of different trim levels, ranging from the entry-level Edge, the mid-range Zetec Business and the sporty Titanium X Sport. All models are well equipped and spacious. 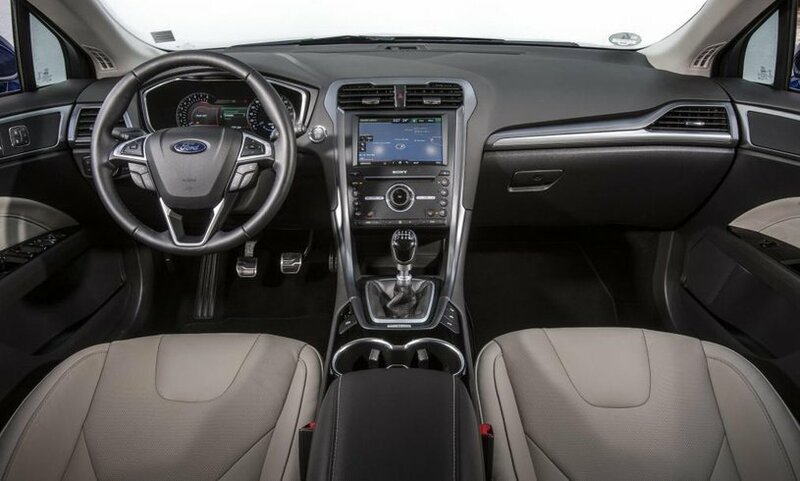 You can be sure to find the latest technologies and modern specifications for added luxury to your Ford. Whatever you’re looking for one thing is for sure; you’ll find the perfect Ford Mondeo deal at Nationwide Cars. 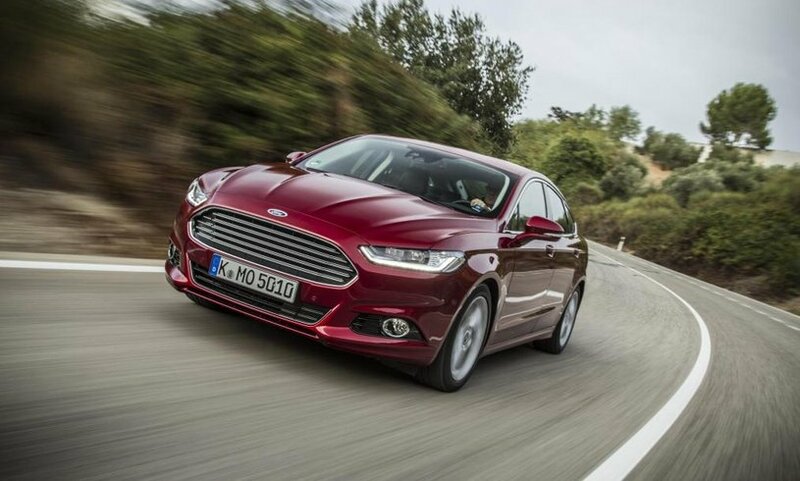 Carry on reading to find out more about this great car in our new Ford Mondeo car review. The brand new Ford Mondeo is the perfect vehicle for those looking to drive a spacious and comfortable car. Ideal for both the family and business, the Ford Mondeo is a versatile vehicle. The car is only available with five doors, however you can purchase a slightly bigger estate version for those looking for that added bit of space. The Ford EcoBoost engines are a very popular choice for many Ford drivers. On the Mondeo there are three different EcoBoost engines available for you to choose from, these are the 1.0 litre, 1.5 litre and the 2.0 litre engines. Our favourite out of the three has to be the 1.0, this engine is not only economical but also behaves like a 1.6, giving you that extra bit of speed when you need it. If you’re a fan of Diesel engines then you can choose from either the 1.5 TDCI or the 2.0 TDCI. Both engines have the latest engine technology in them to improve power and the amount of emissions released. 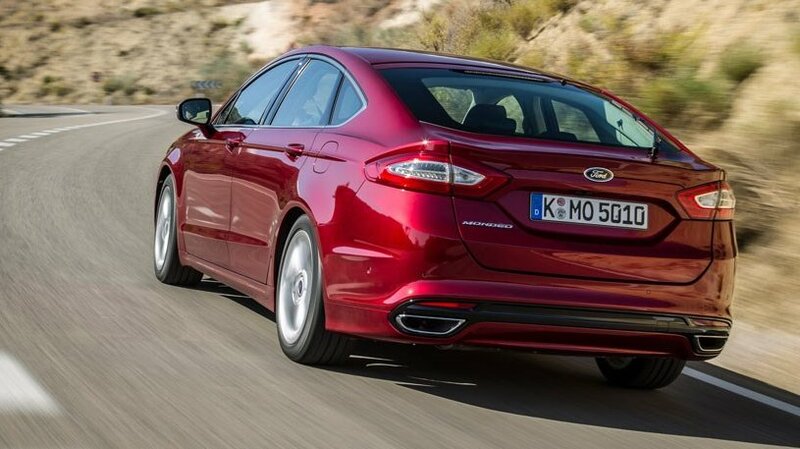 If you’re looking for something even more fuel-efficient there’s always the hybrid version of the new Ford Mondeo. This version of the car combines the advantages of both petrol and electric powered driving. The hybrid version of the Mondeo gives you a much further driving range than solely electric powered cars, whilst being a lot less environmentally damaging than cars that are solely powered by either petrol or diesel engines. The new Ford Mondeo is available with either an automatic or manual gearbox. For those opting for the automatic option you have the choice between either the 6-speed automatic gearbox or the Ford PowerShift that is available on the 2.0 TDCI. Paddle shift is also available for those choosing the automatic option. If you fancy a manual gearbox there are two different 6-speed gearboxes to pick from. Auto-Start-Stop is a top feature that can be found on the new Ford Mondeo. It automatically switches off the engine when sat at traffic lights or when in a stop start queue. Once you’re ready to move all you have to do is push down the clutch, select your gear and you’re ready to go. This technology can cut fuel consumption by up to 10% for city drivers. It also keeps power to important parts of the car such as the headlights and radio once the engine has cut out, meaning your driving experience is not effected. The Ford Mondeo’s design is not only stylish but also aerodynamic. The active grill shutter available on the Mondeo helps to keep the engine cool whilst travelling. The Mondeo also helps to decrease fuel consumption through its aerodynamic design whilst travelling at high speeds. One of the biggest selling points the brand new Ford Mondeo has is the amount of intelligent and useful technology built into it. When reviewing the car the first thing we noticed was its Quickclear Windscreen. This clever feature allows your car to defrost in a matter of seconds; all you have to do is push a button. This means you will no longer be sitting in your car waiting for your windows to defrost on those cold frosty mornings, instead you can start your journey almost as soon as you step into your car. The headlamps on the new Mondeo have had an upgrade and are now extra special. If you’re driving down the road at night the new headlamps allow you to see around a bend rather than solely in the direction your car is pointing in. This is because of the Ford Dynamic LED technology found in the lights. When you begin to turn a corner the headlights precisely follow the road as you turn the wheel, meaning you can see much more than usual. The headlights also have an adjustable lighting pattern, which can be changed depending on your speed, the environment and the weather conditions around you. Parking on the new Mondeo is made simple through the use of its high tech rear view cameras. Bollards, concrete posts and other obstacles can all be easily avoided through the use of the camera, which automatically kicks in on the centre console once you begin to reverse. It even gives you virtual guidelines to help you squeeze in to any small parking spaces. Active Park Assist is also available on the new Mondeo for those who want even more support when parking. This brilliant feature steers you both into and out of parallel parking spots, making it the ideal choice for any drivers that would like a little bit of extra help with their parallel parking. Another feature on the Ford Mondeo is its Lane Keeping System. This system runs off a camera placed at the front of the car, which detects when you have accidently drifted out of a lane. Your steering wheel then vibrates to warn you, if you are then late to react to this warning, Lane Keeping Aid will give you steering assistance to help you stay on track, helping both yourself and your passengers feel safe when travelling on the road. BLIS (Blind Spot Information System) is a top feature available on the new Ford Mondeo to help aid you when driving in lanes. The Mondeo’s mirrors have RADAR sensors that can detect when a vehicle is in your blind spot, the side of the mirror shows an orange light to warn the driver, this then stops you changing lanes and potentially means you may have avoided an accident. The final piece of driving technology we thought needed a mention is the power steering available in the new Ford Mondeo. EPAS (Electric power-assisted steering) adjusts to your driving, depending on both the speed and weather conditions you’re driving in. This means when travelling at slow speeds your steering will become lighter and your manoeuvrability will be improved. Once your speed is increased your steering will start to firm up, giving you greater control when travelling at high speeds. There are a few different entertainment systems available on the brand new Ford Mondeo. Our favourite is the Sony system, which has 12 hi-fidelity Sony speakers included with it. These speakers are of the highest quality and can make a real noticeable difference when listening to music on a drive. SYNC 3 is the most advanced interface installed in a Mondeo to date. It has enhanced voice commands, which allows you to control a whole entertainment system solely with your voice. The brand new interface has larger buttons, which makes it easier to use, it also has pinch and swipe features which are regularly found in today’s smart phones. The first piece of safety technology we want to focus on is the Ford SYNC 3 with Emergency Assistance. This brilliant bit of tech can truly save lives; it does this by calling the emergency services when it detects you have been in an accident. If your airbags have been deployed or if your fuel-pump has been deactivated the system can be set up to make a direct call to the emergency services, you can then talk to the emergency services or choose to end the call. It can even pass on your GPS coordinates if you become unconscious. Another great safety feature available on the Ford Mondeo is its rear inflatable seat belts. These seat belts begin to inflate once the car senses you have crashed; the belts then spread the crash force over a larger area to help reduce the chance of you being injured. Active City Stop is available on a range of Ford Cars including the new Mondeo. This top piece of tech detects when the car in front of you has come to an abrupt stop when travelling in slow moving traffic. This in turn can prevent a collision or lessen the impact the two cars may have if they hit each other. This is a feature well worth having if you tend to do a lot of city driving. To further aid you in slow moving traffic there’s the Ford Mondeo’s Emergency Brake Assist. EBA is controlled via the Mondeo’s ESP system which tracks how much pressure you have applied to your break, if the system believes you have not applied enough pressure it will automatically increase it for you, helping you avoid a collision by braking harder. The brand new Ford Mondeo is available in 10 different colours. These colours are: Blazer Blue, Frozen White, Moondust Silver, Magnetic, Shadow Black, Deep Impact Blue, Guard, Tectonic Silver, White Platinum and Ruby Red. Ambient Lighting is also available on the Ford Mondeo, which can really help to set the mood in your car and encourage a calm and relaxed drive. This lighting comes in the form of a light glow, which can be set to a variety of eight different colours. It makes for the perfect atmosphere when late night driving. A must have feature on the new Ford Mondeo is its panoramic roof. This roof is covered with a roof blind, which can be removed through the touch of a button. Once removed, natural light will begin to flow through the car. At the same time the solar reflective glass in the panoramic roof keeps you cool and blocks out any harmful UV rays, which may be shining on you. The final piece of tech we want to touch upon is the temperature control available in the new Mondeo. The Dual Zone Electronic Automatic Temperature Control allows you and your passenger to select a different temperature; the advanced air conditioning will then maintain both temperatures for the pair of you.